*Originally written in 2014 and posted on twitter where it is my most popular tweet to date. Categories: Love and Desire, Muse, Musings, My Writing, Poetry/Prose | Tags: embrace, Fabian Perez, If we met, our first kiss, smile, twitter, whisper your name, would I run to you | Permalink. This is how I see us. Categories: Love and Desire, Muse, Musings, My Writing, Poetry/Prose | Tags: embrace, lost in each other, you and I | Permalink. 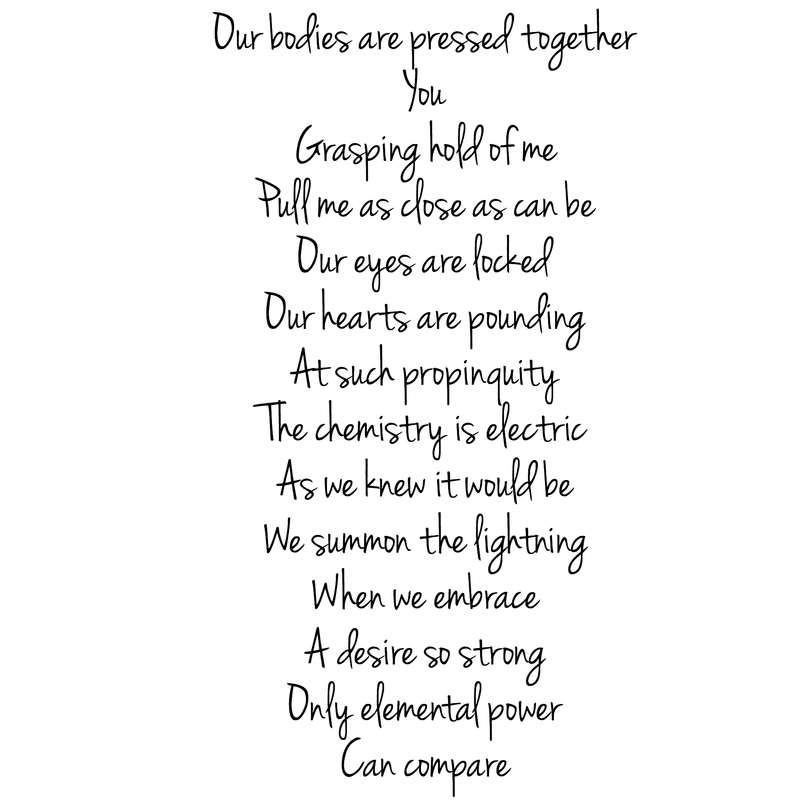 Categories: Love and Desire, Muse, Musings, My Writing, Poetry/Prose | Tags: chemistry is electric, desire, elemental power, embrace, summon the lightning | Permalink. Categories: Erotica, Love and Desire, Musings, My Writing | Tags: embrace, love and desire, poetry, songs without words | Permalink.